I have an EspressoBIN board, which has 1.8V GPIO pins with a max current of 8mA. This works fine, except during boot. Turns out the EspressoBIN, by default, sets the GPIO pins to "IN". In that state they are at 1.8V with about 10kOhm internal impedance. This is enough to turn on the transistors so the LEDs and the fan come on (on half speed). I can only turn the GPIOs to "OUT" once the board has fully booted (about 60 seconds later). What's the simplest-possible circuit you can think of that keeps my loads off during boot, and lets me have them switch 5V on/off once the GPIO is set to "OUT"? Note that per vendor, 8mA is the max current I may draw. Add a resistor to ground on each GPIO, say about 2K. When it is booting you will have about 0.3V and after you set the GPIO to OUT then the pull down will draw 0.9 mA when the GPIO is high. If your design isn't yet set in stone, there are pre-biased parts that save board space using EE_socal's solution of a pull-down resistor, such as the DDTC122LU. Here, R1 (base resistor) is \$220\Omega\$ and R2 (pull-down resistor) is \$10k\Omega\$. Not the answer you're looking for? Browse other questions tagged led driver gpio fan or ask your own question. What is drive strength a measurement of? Control multiple LEDS with one PWM pin? 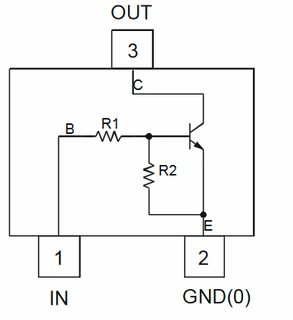 Why isn't my transistor outputting enough voltage when switched? How to use a transistor to drive strings of LEDs from GPIO pins?